Ty Law got his fist taste of being a Pro Football Hall of Famer. Over the weekend, Law took a trip to the Pro Football Hall of Fame with fellow Class of 2019 member Johnny Robinson. The Pro Football Hall of Fame documented his trip over Instagram. former Dallas Cowboys Vice President of player personnel Gil Brandt in the Class of 2019. Law will be formally inducted on August 3rd, 2019. 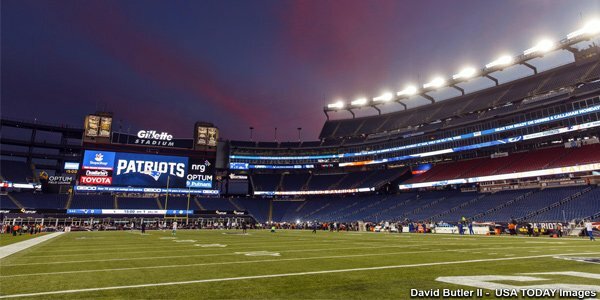 This entry was posted in Patriots Video and tagged Pro Football Hall of Fame, Ty Law on March 7, 2019 by Robert Alvarez. Pittsburgh Steelers owner and chairman Dan Rooney passed away today. He was 84. Consider this: from their inception in 1933 through 1971 the Steelers made the playoffs only once. Pittsburgh had a total of only seven winning seasons, and managed only four years where they were two or more games above .500. 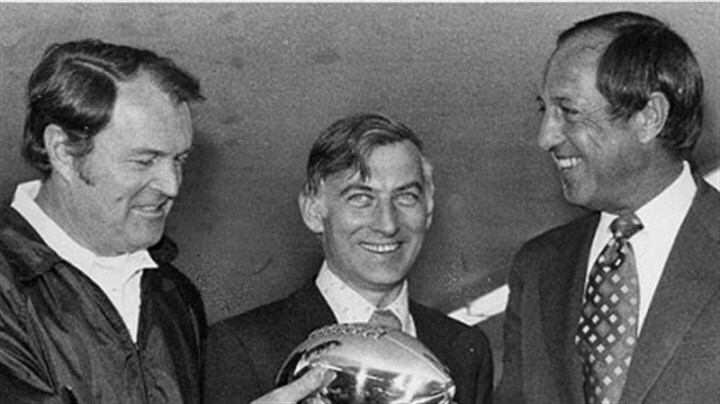 Then Dan Rooney took a bigger role in the organization, running the football operations in 1969 and finally formally being announced team president in 1975. He hired Chuck Noll and the team quickly went from annual cellar dwellers to perennial contenders. For those that lament the dark days of the Patriots, where the Steelers were prior to Dan Rooney taking on his role was was far worse. They went 25 years between playoff appearances. 25 years! From 1965-69 Pittsburgh’s record was 14-53-3, finishing in last place in four out of five of those seasons. A quote from a 1979 Sports Illustrated article shares words of Rooney’s wisdom that certain high profile owners would be wise to heed today. While he was growing into his current job in the ’60s, Dan and his brother Art Rooney Jr., who is in charge of the team’s personnel department, determined that the Steelers, who had a history of trading away draft choices, should build through the draft. Only three of the Steelers on the roster for last Sunday’s game—placekicker Gerela, reserve Defensive Back Ray Oldham and reserve Tight End Jim Mandich—started their careers with other franchises. In 1975 Pittsburgh went 12-2 and won their second consecutive Super Bowl. Rooney remained team president until 2002; during those years the Steelers were the class of the AFC and the best franchise in pro football over the last three decades of the 20th century. More than anyone else, Dan Rooney was the reason for that turnaround. The Steelers’ long term success was due to the leadership at the top of the organization. Rooney earned his place in the Pro Football Hall of Fame. Rest in peace. Condolences to the Rooney family and Steelers Nation. This entry was posted in NFL Commentary and tagged AFC, AFC North, NFL, Pittsburgh Steelers, Pro Football Hall of Fame on April 13, 2017 by John Morgan. Houston Antwine was born on April 11, 1939; he would have been 78 today. He was one of the best players in football history that is not in the Pro Football Hall of Fame. Antwine is also the greatest player in Patriot history that most Pats fans don’t know about. Antwine played in 142 games over eleven seasons for the Patriots. 270 pounds may not be big by today’s standards, but in 1961 it was. Houston Antwine was a man among boys, constantly commanding double or even triple teams by opposing offenses. He wasn’t just some big slug though; Antwine was extremely athletic, using skills he had acquired as a collegiate wrestling champion. ’Twine was not only strong but also very quick on his feet, and nearly impossible to move out of the middle. He was also a well-rounded, versatile player; not only devastating against the run, but also tenacious on his pass rush, totaling 39 sacks in his career and leading the Pats in sacks three straight years. Antwine was an AFL All-Star six straight years, and was named to the All-Time All-AFL Team. Now stop and think about that for a moment. If a player that was named to the NFL’s all time team of the decade for say the 1990’s or 2000’s that also went to six consecutive Pro Bowls, would there even be any discussion as to whether or not he should be voted in to the Pro Football Hall of Fame? Probably not. Yet Antwine earned identical honors that just so happened to be at an earlier time. Why was he be penalized for that? Perhaps the biggest reason is because it took far too long for his own team to honor him. The Pats set up their team Hall of Fame in 1991. John Hannah was the original inductee, in the same year he became the first Patriot enshrined in the Pro Football Hall of Fame. The following year Nick Buoniconti and Gino Cappelletti got their bust at Patriot Place. Antwine was more deserving these two legends though. 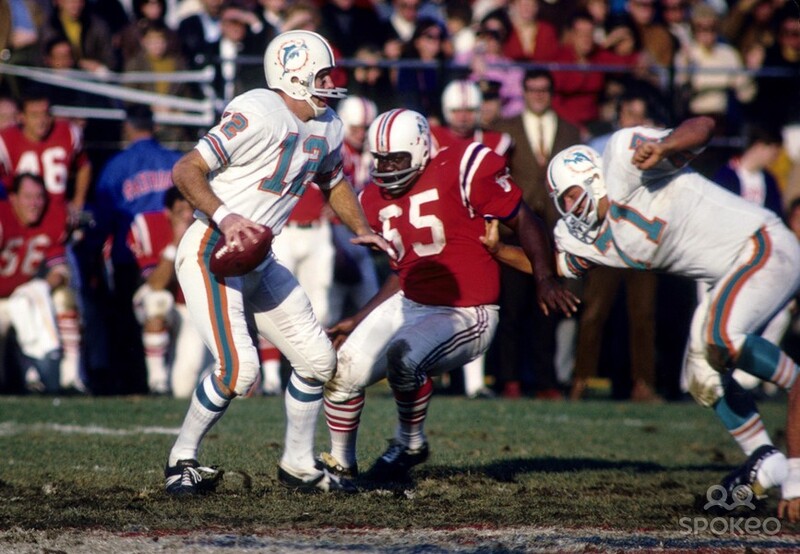 Buoniconti is more well known for his championships in Miami rather than his seven seasons with the Patriots. As good as Cappelletti was he was never the league’s premier player at a position the way Antwine was. Legitimate cases can be made for those three, but not for the next group. In 1993 the Pats’ HoF added three more players from the sixties. Nothing against Bob Dee, Jim Lee Hunt or Babe Parilli, but Houston Antwine was a far more dominant football player. In terms of the Hall of Fame the Patriots were ‘on to the seventies and eighties’ after that, for all intents done with AFL-era players. Yes, the Patriots eventually did add Antwine to the hall in 2015. Sadly it was four years after he passed away. He deserved to go in twenty-plus years earlier, while he was still alive. So why did that not happen? His play on the field was such that he deserved to be the first player after John Hannah to enter the Patriot Hall of Fame. Rumor has it that some of the old time writers did not care for him. Maybe he wasn’t friendly enough with the old guard and they held a grudge. He was one of 22 players to boycott the 1965 AFL all star game in New Orleans, where Jim Crow laws and blatant racism still prevailed; maybe that protest against conditions there had something to do with it. Regardless of the reason, it started a vicious circle. The thought process was that if Antwine’s own team would not honor him, he couldn’t have been good enough for the Pro Football Hall of Fame – who already were showing an obvious bias against consideration for AFL players. More time passed, and fewer and fewer writers and fans were old enough to remember or appreciate Antwine. The thinking of those nominating and voting for for the Patriot Hall of Fame mirrored that of those voting for enshrinement to Canton. On the rare occasion his name was brought up it was quickly dismissed. The sentiment was that ‘he couldn’t have been that good if all these other old timers are in and he is not’. Commencing in 2011 a ten-person senior committee was formed. They were scheduled to convene and have the option of adding one Patriot that had been retired for at least 25 years. It seemed like such a no-brainer; Antwine surely would finally be honored in Foxboro. He had already been a finalist three times, futily up against more recent and recognizable players. Incredibly his election still did not happen. Jon Morris was a good guy with a nice career but he was not close to the same level of player as Houston Antwine. Apparently the old time writers refused to let go of whatever grudges they were holding on to. In December of 2005 Antwine was diagnosed with Alzheimer’s. The disease was allegedly caused by repeated blows to the head from his playing days, back when concussions were just “dings” and players were expected to just shake it off and keep going. Houston Antwine passed away in December of 2011 at the age of 72, a few months after Morris was inducted to the Pats Hall of Fame. The senior committee must have felt a bit of remorse; they then voted Antwine in the next time they met. Fan voting for the Patriots Hall of Fame will commence in the next few days. Hopefully Pats fans will carefully consider “forgotten” players such as Raymond Clayborn, and not simply cast their ballot for the most recently retired nominee. This entry was posted in Patriots Commentary and tagged Boston Patriots, former New England Patriots, Houston Antwine, New England Patriots History, Patriots, Patriots Hall of Fame, Patriots history, Pats, Pats Alumni, Pro Football Hall of Fame on April 11, 2017 by John Morgan. Happy Birthday to The Duke, Gino Cappelletti. Mr. Patriot turns 83, born on this day in 1934 in Keewatin Minnesota. 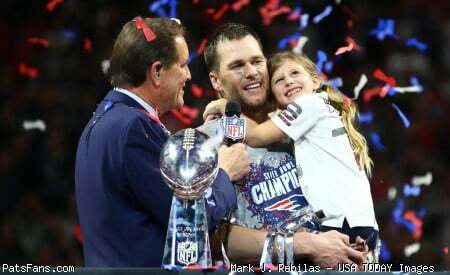 With all due respect to the GOAT, nobody embodies the entire history of the Patriot franchise more than this legend. His absence from the Pro Football Hall of Fame is shameful, something that will hopefully be rectified before it is too late for him to be honored in person. After a two year stint in the Army and some time playing football in Canada, Cappelletti was one of hundreds of players to tryout for the Boston Patriots. On September 9, 1960 he kicked a field goal at Nickerson Field for what would be the first points scored in an American Football League game. When he retired eleven years later he had scored an AFL record 1,130 points. At that time the only NFL player with more career points were Hall of Famers Lou Groza and George Blanda. Cappelletti was incredibly versatile. In that 1960 season he was a starting cornerback. For the next three years he was the Pats starting split end, and then was the team’s starting flanker for the next four years. Of course he handled the kicking duties as well from 1960-1970. Cappelletti caught 292 passes for 4,589 yards and 42 touchdowns, picked off four passes and kicked 176 field goals in his storied career. For those who played prior to the 16-game schedule Gino holds the second and third most points in a single season. Those 155 points in 1964 and 147 points in 1961 are the most in AFL history, and still to this day rank in the top 25 in NFL history. He also holds the AFL record of 28 points scored in a single game. Cappelletti holds the pro football record for points per game over six consecutive seasons (9.5), points per game over 11 seasons (7.5), and percentage of a team’s points over eight seasons (34%). The Duke was a five-time All-Star and AFL MVP in 1964. His versatility is perhaps best exemplified by a milestone that will never be broken. In 1960 he ran for a two-point conversion, completed a pass for a two-point conversion, caught a pass, intercepted a pass, returned a punt and returned a kickoff. Nobody in pro football history has ever before or since accomplished that feat. In 1992 Cappelletti became the second player to be enshrined to the Patriots Hall of Fame, and his number 20 is now retired. His contributions to football did not end with his retirement at age of 36 prior to the 1971 season. Mr. Patriot became the voice of the Pats, providing the commentary for Patriot radio broadcasts for 28 years. He also did Boston College games, and was the voice famously proclaiming ‘he caught it, he caught it, I don’t believe he caught it!‘ on Doug Flutie’s miracle Hail Mary touchdown pass against the Miami Hurricanes in 1984. Considering all of this, can anybody honestly justify how people like Jerry Jones, Bill Polian or Kurt Warner are in the Pro Football Hall of Fame – but Gino Cappelletti is not? This entry was posted in Patriots Milestones, Patriots News and tagged American Football League, Boston Patriots, former New England Patriots, Gino Cappelletti, New England Patriots History, Patriots Hall of Fame, Patriots history, Pats Alumni, Pro Football Hall of Fame, team records on March 26, 2017 by John Morgan. 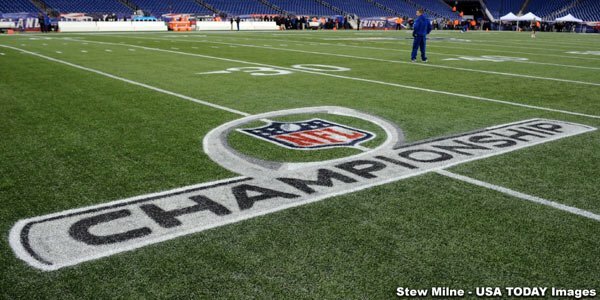 The Patriots defeated the Houston Texans last night 34-16 in the Divisional Round of the playoffs and will host the AFC Championship Game next Sunday against either the Steelers or Chiefs. 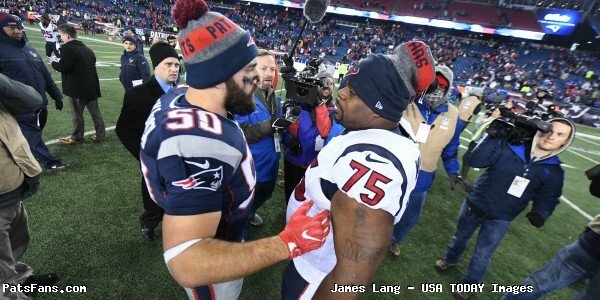 After the game, Vince Wilfork said he may have played his last game in the NFL and may retire. It was sad to watch the big man walk off the field for perhaps the last time. If he indeed does retire, he should have a bust in Canton. It won’t be easy, the voters for the NFL Hall of Fame don’t like the big heavies. The two-gap run stuffers who are so integral to what some teams do defensively. Why? We live in the era of fantasy football. Voters want the guys who have the impressive sack totals, the penetrators, the fast, speedy guys who make the crowd ooh and ah when they rush the quarterback. Guys like Wilfork and Casey Hampton who played for the Steelers for a long time will never get those gaudy sack numbers and don’t have that streamlined physique that makes those guys the subject of so many articles and photos for the media. Nope, guys like Wilfork are built like a fire hydrant. Wide, squat, and low to the ground with legs like tree trunks. Built for the marathon of taking on double teams in the interior of the trenches. Wilfork never had more than 3.5 sacks in any season but his worth went far beyond that. The Patriots defense relied on him to eat space and double teams at the point of attack in the running game and set the table for the linebackers to clean up. Early in his career, those linebackers were Ted Johnson, Tedy Bruschi, and Mike Vrabel. All of whom had great success in the Patriots defense. Later, players like Jerod Mayo, Junior Seau, Jamie Collins and Dont’a Hightower took their places and the defense continued to use Wilfork as the immovable object inside. The defensive philosophy demanded his solid play and the fact that he played on multiple Super Bowl teams speaks of his worth. Another player that immediately comes to mind was Richard Seymour who was a dominant defensive lineman for the Patriots for several years and had a couple of very productive years for the Raiders. As adept at rushing the passer as stopping the run, Seymour didn’t have eye-popping sack totals but was a tremendous, versatile player who could play inside or outside. There was an extended period of several seasons where it easy to make the argument that Wilfork was the best at his position, doing what he did better than anyone else in the NFL. 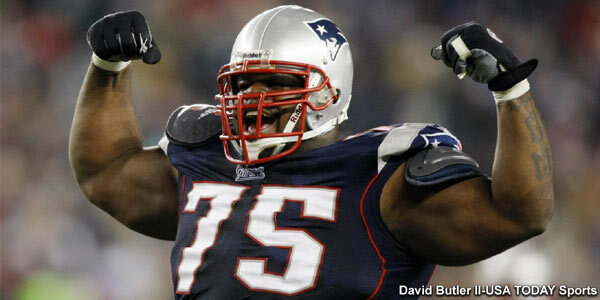 From 2007 to 2012, Wilfork made the Pro-Bowl five times and was a first-team All-Pro member once. His 2011 season was arguably his best with 52 tackles, 3.5 sacks and a memorable interception of Philip Rivers, where the big man rumbled for 28 yards downfield. He added nine tackles and 2.5 sacks in three playoff games. One thing is certain…if indeed Wilfork retires which it appears he will, in five years, he’ll be a first-ballot inductee to the Patriots Hall of Fame. That is a no brainer. But Canton? That will be a difficult sell. Like the catcher in baseball that calls tremendous games for his pitchers and is integral to their success, no one remembers who caught the no-hitters or the perfect games, just the pitchers. Wilfork is worthy of the gold jacket and will need some help in getting in there. Someone will have to stand up and advocate for him. Which is a shame really. Just turn on the tape from any number of years and watch the traffic jam inside the trenches. Right in the middle of it was #75. Look around the Hall of Fame and see how many big, two-gapping run stuffers are in there. It is about time that Canton recognizes the excellence of one of them… Just clear off a big space, give his bust a two-gap and very large gold jacket. This entry was posted in NFL Commentary, Patriots Commentary and tagged All-Pro, Bill Belichick, Dont'a Hightower, Jerod Mayo, Junior Seau, Mike Vrabel, Patriots defensive tackles, Patriots Hall of Fame, Pro Bowl Roster, Pro Football Hall of Fame, Richard Seymour, Ted Johnson, Tedy Bruschi, Vince Wilfork on January 16, 2017 by Steve Balestrieri. Former New England Patriot corner Ty Law has been named as a finalist for the Pro Football Hall of Fame. The Pats drafted Law 23rd overall in 1995 out of Michigan. Law is one of a select few to have won three Super Bowl rings with the Patriots. His pick-six off Kurt Warner and the heavily favored St Louis Rams in Super Bowl 36 is an iconic moment in New England sports history. Law was named to five Pro Bowls and was twice a first team All Pro. 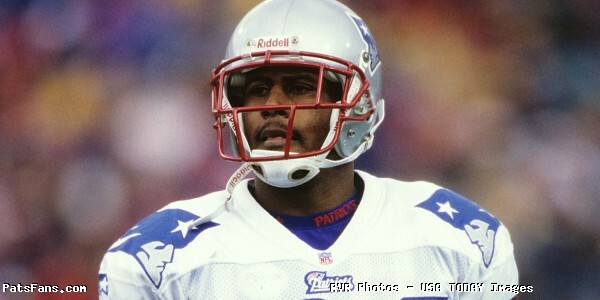 He was named to the Patriots’ All-Decade Team for both the 1990s and the 2000s, and was also selected to the Patriots’ 50th Anniversary Team. In 2014 Law was honored as a member of the New England Patriots Hall of Fame. In 1998 Law led the NFL with nine interceptions, and again led the league in 2005 with ten picks. Law finished his career with 59 interceptions, including six in the post-season. Five of those playoff picks came against NFL golden boy Peyton Manning. Further proof of how Law shone bright in the clutch is evidenced by 25 of his interceptions coming in the month of December. Other finalists for the 2017 Hall of Fame class include running back LaDainian Tomlinson. LdT seemed to be a polar opposite of Ty Law when it came to games that took place after Thanksgiving – but he’ll still probably get enshrined in his first year of eligibility. Defensive end Jason Taylor and safety Brian Dawkins are two others on the ballot for the first time. The fifteen finalists will be pared down once more to a group of no more than five. WR Isaac Bruce, G Kevin Mawae and OT Tony Boselli join Law in advancing this far for the first time. WR Terrell Owens, K Morten Andersen and G Alan Faneca were in the round of 15 last year, and return for another shot at Canton. Former head coach Don Coryell, RB Terrell Davis, OT Joe Jacoby, S John Lynch, and QB Kurt Warner are also on the final 15 last. That group made it to the final ten a year ago. As part of a separate voting process Paul Tagliabue and – no, this is not a misprint – Jerry Jones have received nominations as well as contributors. Safety Kenny Easley was also nominated by the veteran’s committee. Notable names missing the final cut include HC Jimmy Johnson, LB Clay Matthews Jr, S Darren Woodson, S Steve Atwater, LB Karl Mecklenburg, OT Chris Hinton, RB Edgerrin James, WR Torry Holt and WR Hines Ward. This entry was posted in Patriots News and tagged Cornerback, former New England Patriots, Patriots corner backs, Patriots cornerbacks, Patriots Hall of Fame, Pats Alumni, Pro Football Hall of Fame, Super Bowl XXXIX, Super Bowl XXXVI, Super Bowl XXXVIII, Ty Law on January 3, 2017 by John Morgan.